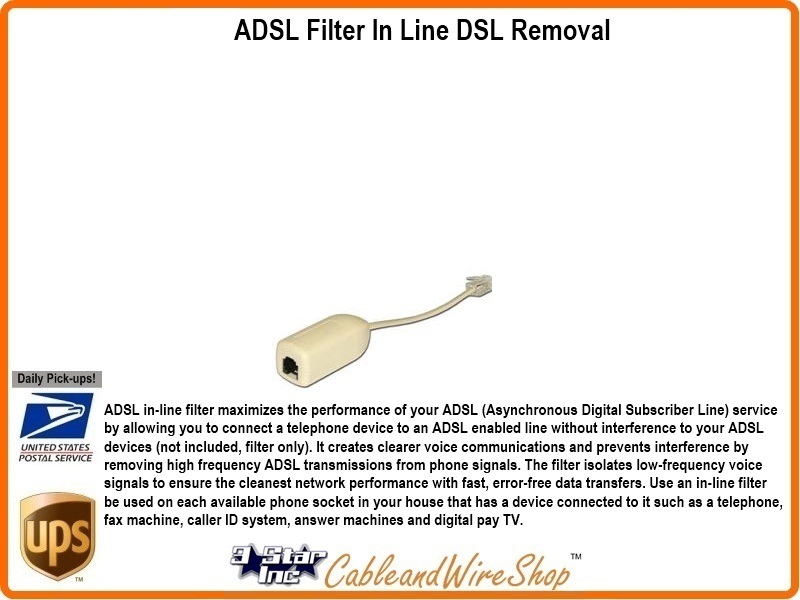 ADSL In-Line filter maximizes the performance of your ADSL (Asynchronous Digital Subscriber Line) service by allowing you to connect a telephone device to an ADSL enabled line without interference to your ADSL devices (not included, filter only). It creates clearer voice communications and prevents interference by removing high frequency ADSL transmissions from phone signals. The filter isolates low-frequency voice signals to ensure the cleanest network performance with fast, errofree data transfers. Use an In-Line filter be used on each available phone socket in your house that has a device connected to it such as a telephone, fax machine, caller ID system, answer machines and digital pay TV.